In line with the upcoming theatrical release of Marvel Studios' Thor: Ragnarok, SM Lifestyle Entertainment, Inc., and the Walt Disney Company unveiled life-size gladiator figures of the mighty Thor and the Hulk in an interactive exhibit that will tout SM Malls around the metro. 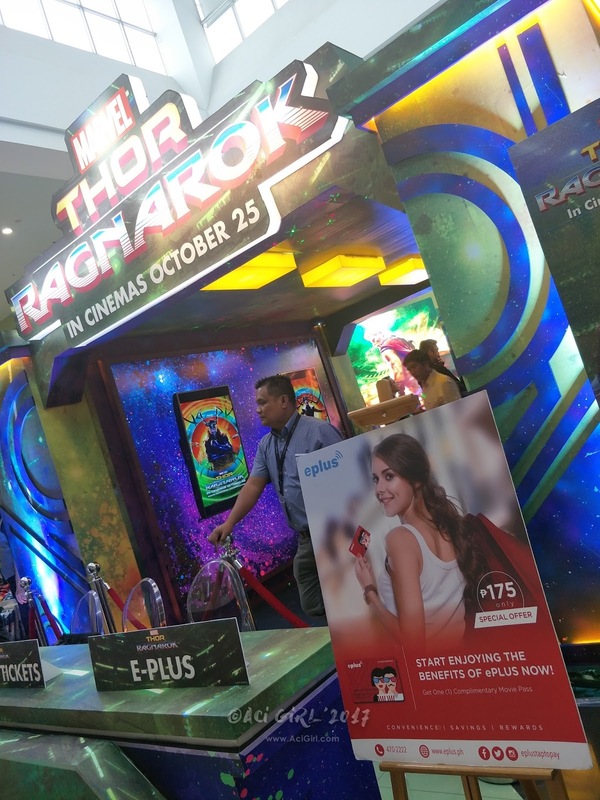 Marvel fans got a sneak peek of the upcoming sequel to Thor through a series of iconic displays and immersive activities at the launch in SM Southmall Las Pinas. 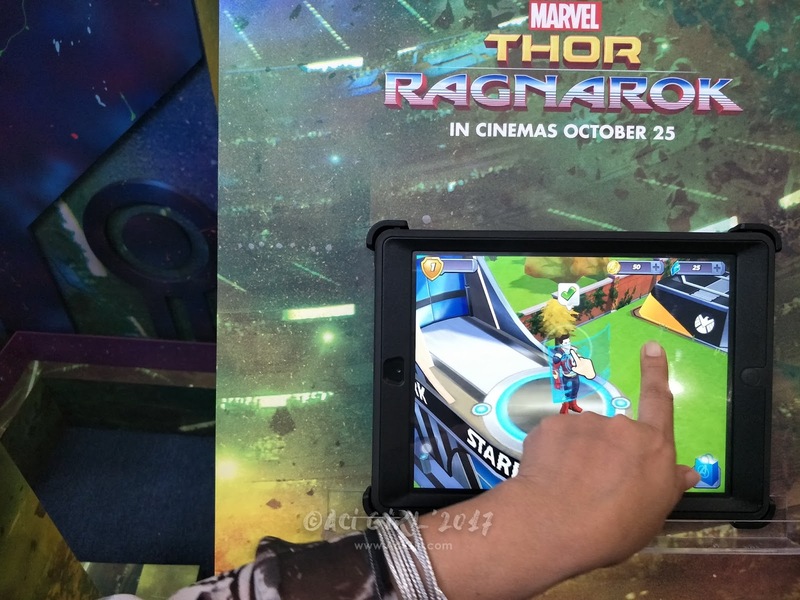 Midgardians had endless groufies at the interactive Thor-inspired photo booth; game buffs were the first to try out Marvel Studio apps such as Marvel Future Fight, Marvel Contest of Champions, Marvel Puzzle Quest, and Marvel Avengers Academy; enthusiasts got a first look at the exclusive Disney merchandise of Thor, Hulk, Loki, and Valkyrie; and the crowd gawked at the life-size recreation of the two lead characters, Thor and Hulk, who in one exciting scene, battle each other in a deadly gladiator match. The electrifying Thor: Ragnarok exhibit celebrates the anticipated comeback of the god of thunder in his self-titled movie. 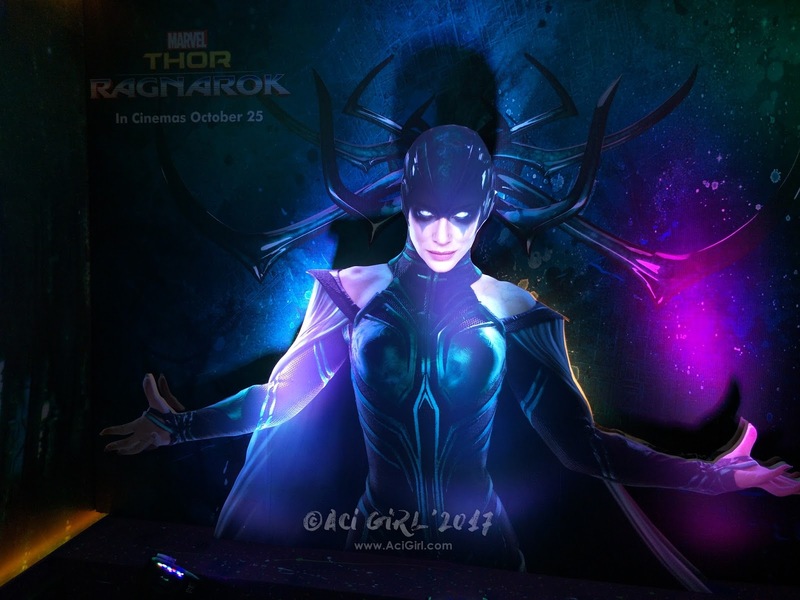 Thor: Ragnarok will be the first Marvel Studios; film to produce a major female villain in an epic race against time to prevent the destruction of Thor's homeworld. 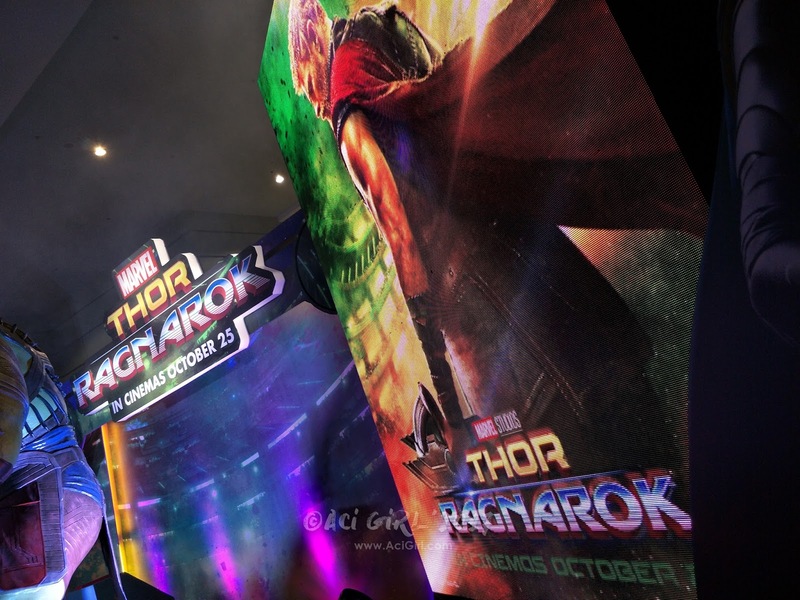 Only seen in IMAX, select key scenes of the movie will be expanded, filling more of the screen and delivering the audience 26% more of the image than standard theatres. 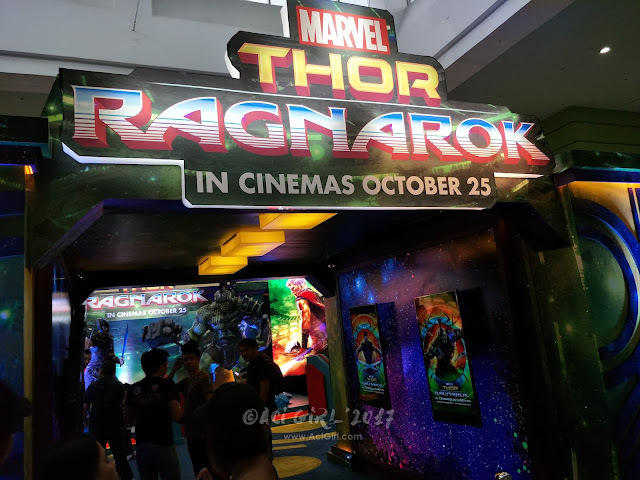 Marvel Studios' Thor: Ragnarok will premiere in all IMAX Theatres and SM Cinema branches nationwide on October 25. Complete your movie experience and get a taste of Asgard on earth by visiting the Thor: Ragnarok installation yourself as it tours your favorite SM mall! 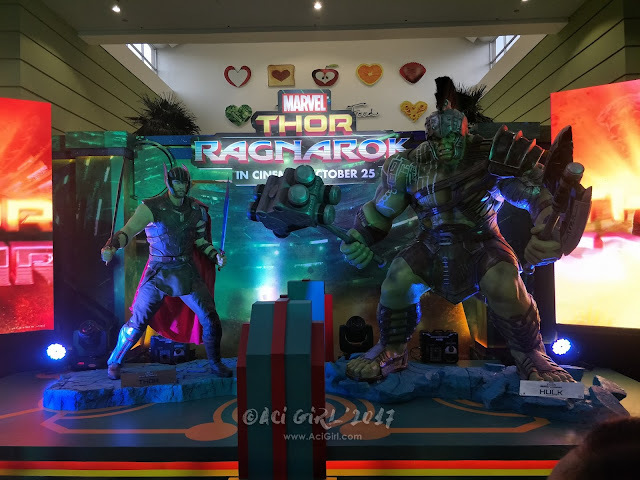 The Thor: Ragnarok roving exhibit will be at SM Southmall from October 7-15, in SM East Ortigas on October 17-22, and in S'Maison MOA on October 24-31. Buy your tickets in advance through www.smcinema.com. Catch Marvel Studios' Thor: Ragnarok in IMAX and SM Cinema from October 25. Buy your tickets in advance through www.smcinema.com. 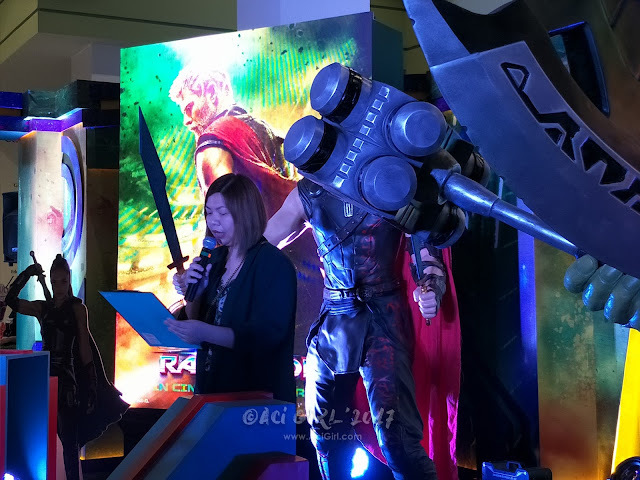 For more information on MArvel Studios' Thor: Ragnarok, like and follow SM Cinema on Facebook or @SM_Cinema in Instagram.